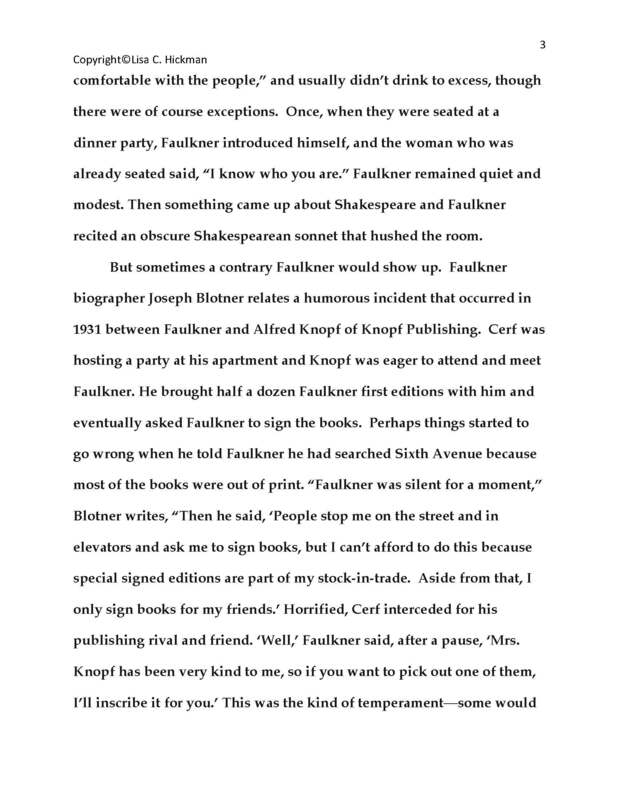 – Howard Bahr, author of The Black Flower, The Year of Jubilo, and The Judas Field. Lisa C. Hickman holds her Ph.D. in English literature from the University of Mississippi. 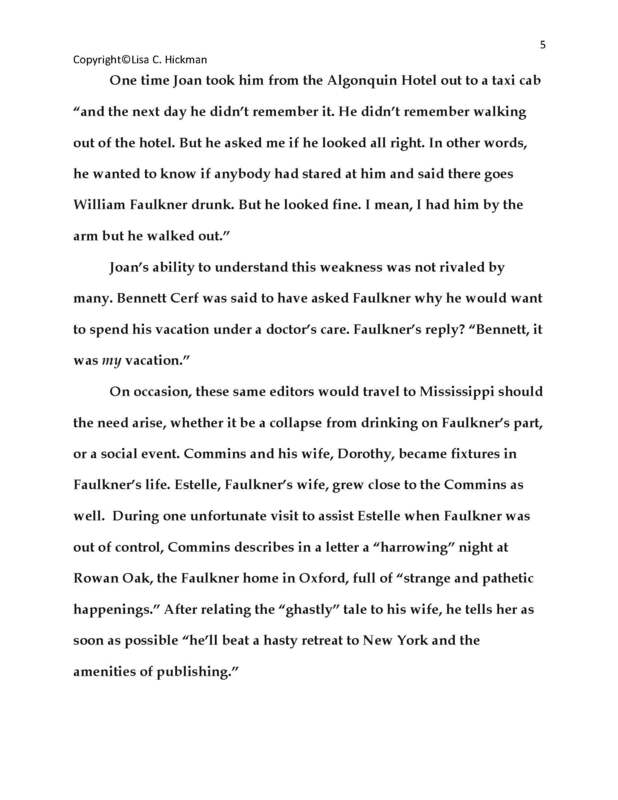 Her essays, articles, and book reviews have appeared, among other places, in the Los Angeles Review of Books, Mississippi Writers Page, Southern Quarterly, Memphis Magazine, Housman Society Journal, and the Southern Register. The award-winning Mississippi Encyclopedia, now online! 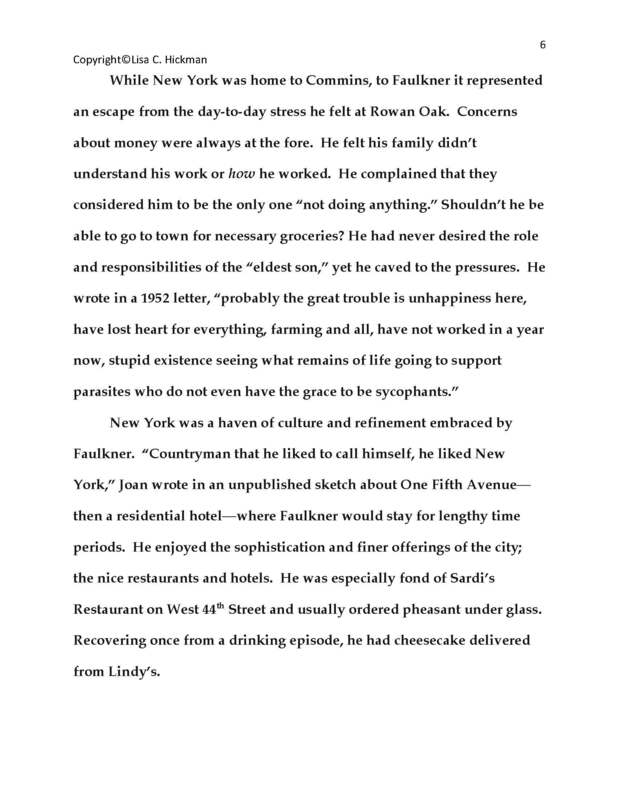 See Lisa C. Hickman’s Joan Williams’ entry. Positive response from readers: Click here for Memphis Flyer blog post. 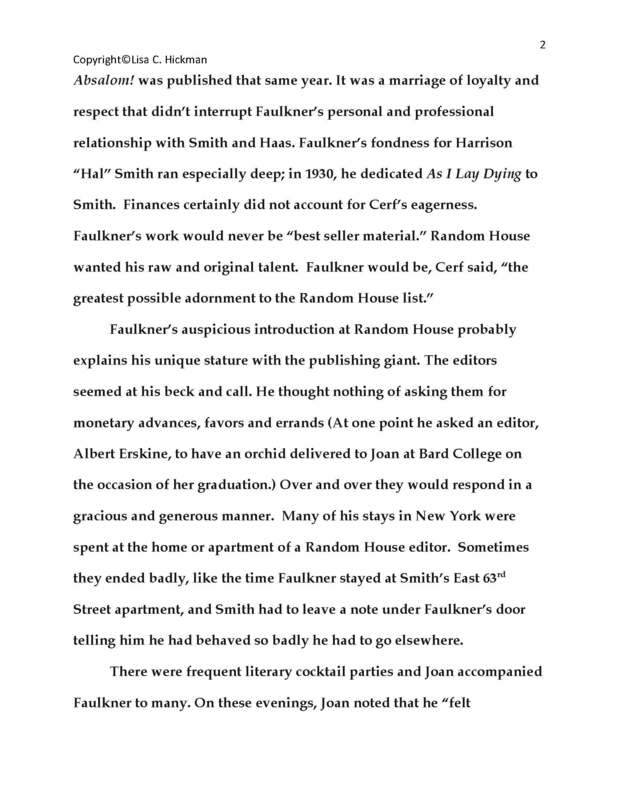 Q&A explores creative nonfiction genre: Click here. 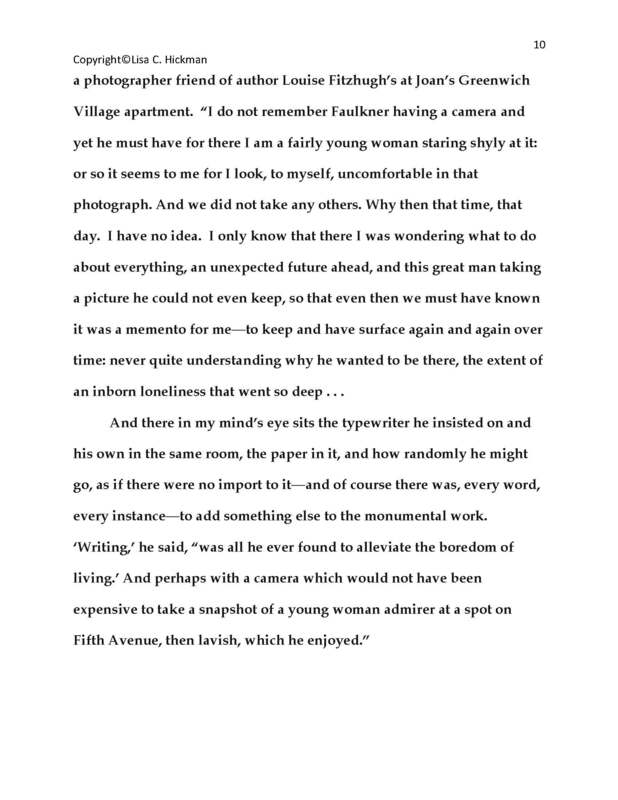 The Essay Category attracted 136 total entries, of which 27 finalists were selected. The Short List selected from the finalists totaled 13 manuscripts. An additional 24 entries were selected as semi-finalists. The entries included 91 from Louisiana including, including 33 from New Orleans. Six foreign countries were represented. 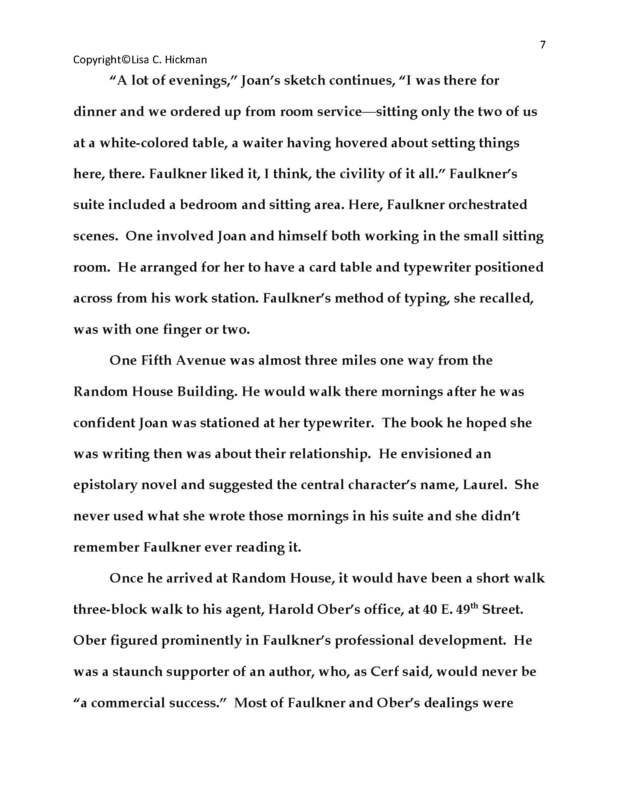 The Essay Short List is being judged by bestselling non-fiction writer Franz Wisner. 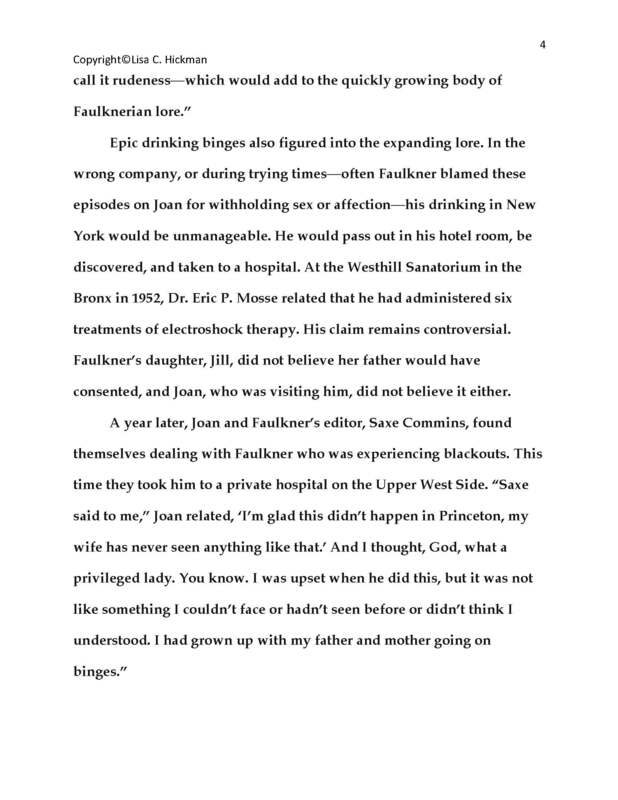 Author Lisa C. Hickman will discuss William Faulkner’s New York experiences, connections and friendships at 2018 MLA [Modern Language Association] Session 530. 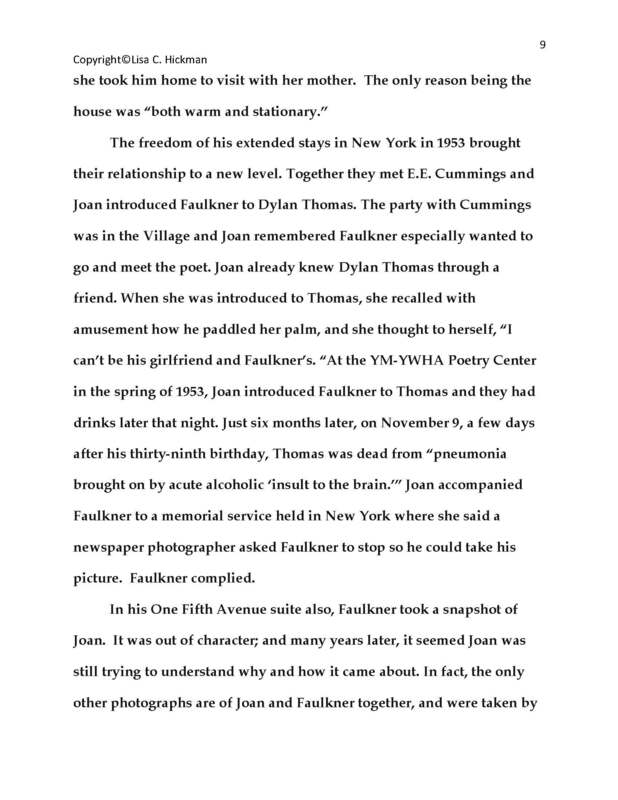 Some of the material will be drawn from her book William Faulkner and Joan Williams: The Romance of Two Writers (McFarland 2006). 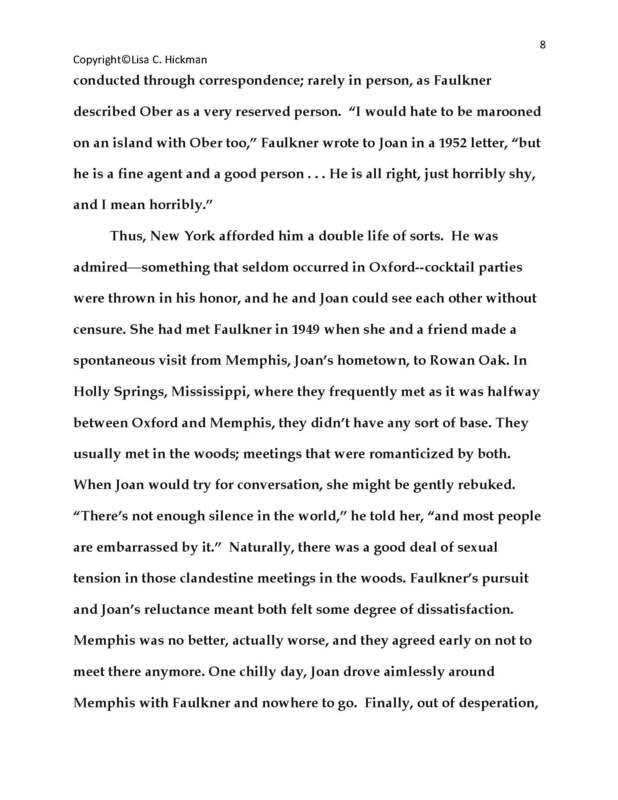 The recently released Mississippi Encyclopedia—the first since 1907—includes Hickman’s entry on novelist Joan Williams. 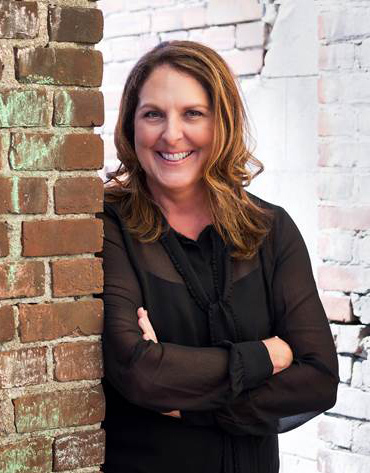 Author Lisa Hickman to discuss Remembering at the Mid-South Book Festival. Lisa Hickman and the Booksellers at Laurelwood release Remembering: Joan Williams’ Uncollected Pieces. 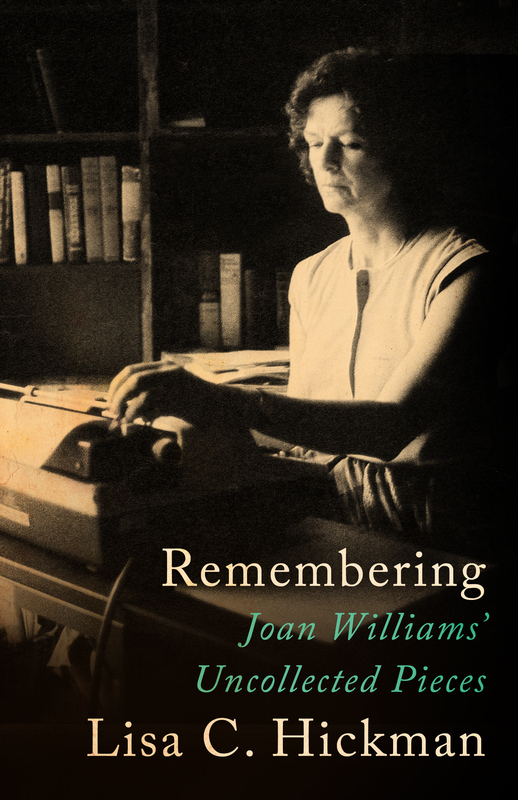 Exciting news from Lisa Hickman – Remembering: Joan Williams’ Uncollected Pieces. 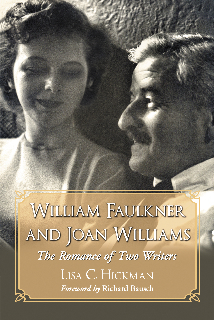 For additional information about William Faulkner and Joan Williams: The Romance of Two Writers, click here. 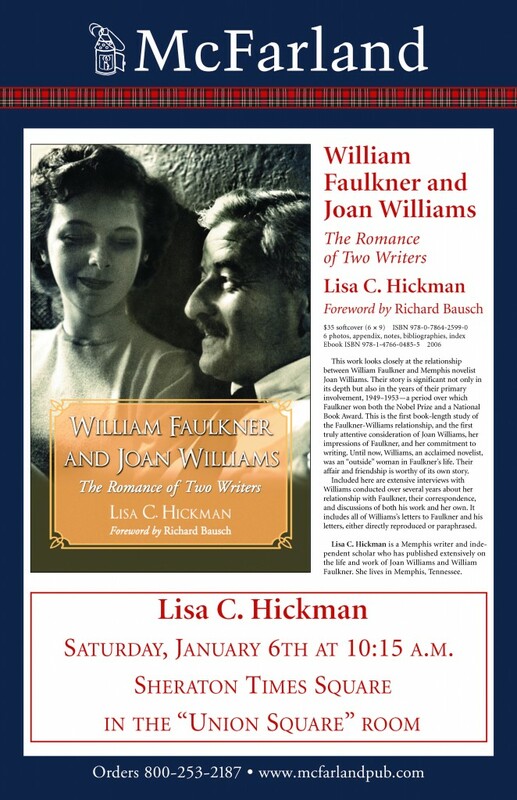 For Lisa C. Hickman’s Mississippi Writers Page article about Joan Williams, click here. 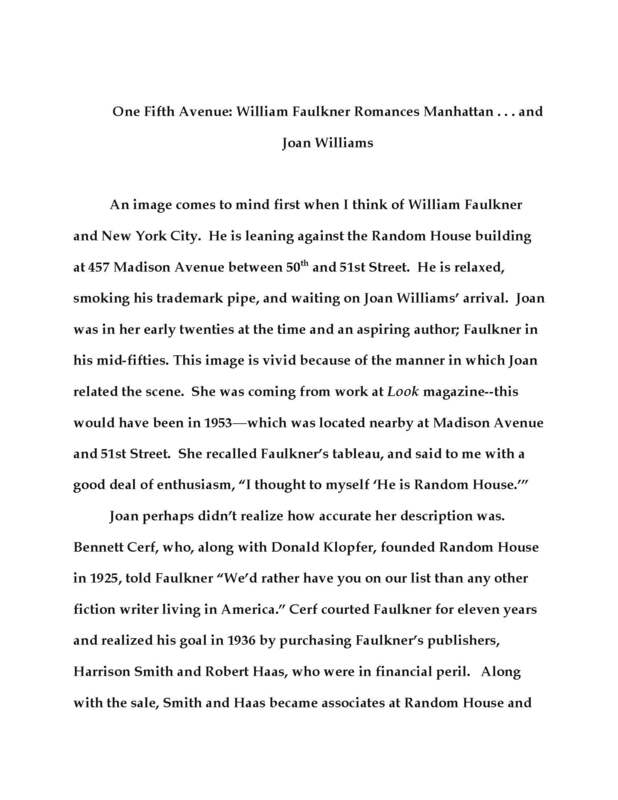 Books by Joan Williams available through digital publisher Open Road, click here.